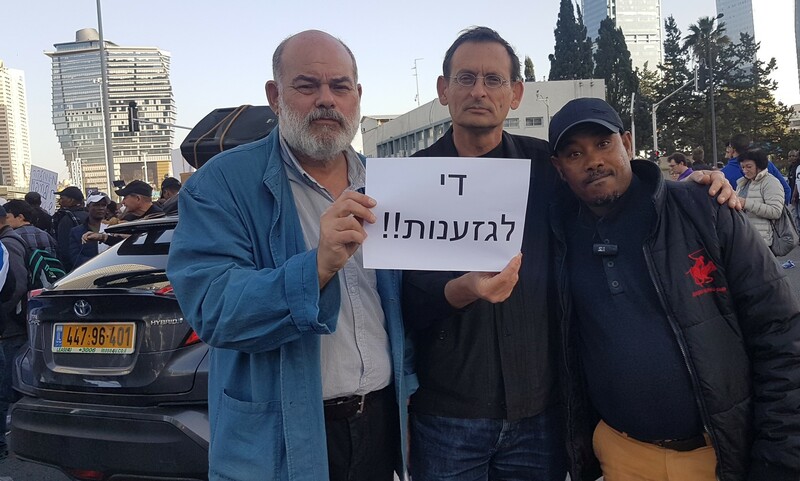 The demonstrators chanted, “Violent cops belong in prison,” “Bibi [PM Benjamin Netanyahu] go home,” and “Erdan go home,” a reference to the far-right Public Security Minister, Gilad Erdan. Demonstrators carried signs with messages like “Racism? Not in my country,” “Black lives matter,” “Enough violence,” and “Police are murdering Beta Yisrael,” a traditional name for the Ethiopian Jewish community. The rally at Rabin Square, which followed a march that blocked major thoroughfares and junctions, turned violent near Ibn Gabirol Boulevard. Earlier in the afternoon, thousands of protesters had marched onto the major highways running through Israel’s commercial hub, including the Ayalon Highway at the Hashalom interchange, stopping traffic for several hours and causing major jams that stretched into neighboring towns. In 2015, a large demonstration in support of the Ethiopian community against police brutality and racism turned violent, transforming the Tel Aviv city center into a massive street brawl. At least 41 people were injured in the melee that went on for hours, and which saw protesters hurl rocks at police and officers respond with stun grenades and water cannon.